Noted for decades of professional excellence, Patarica Dian Nunn is best known for her efforts to better the world through writing. She loved sharing her thoughts with others, and was thrilled to have the opportunity to do so in a variety of mediums. 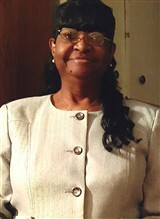 As a poet, Ms. Nunn authored the likes of “Sacred Memories” in 1996, “A True Mother’s Love” in 1997, “A True Father’s Love” and “Out in Left Field,” in 1998, and “A Breathe of Fresh Air” in 2002. She further served the poetry community as a member of the board of directors and advisory committee for the National Library of Poetry, and as a member of the Poetry Guild and the National Author’s Registry. Ms. Nunn also earned acclaim for her abilities as a songwriter. Her works include “My Moment of Miles,” written for her oldest daughter in 1996, and “Time,” written for her second daughter in 1998. For her third daughter, she penned “Mellow Drifting” in 2002, and for her youngest daughter, she penned “Sassy, Sassy Lady” in 2003. In addition to her creative endeavors, Ms. Nunn worked as a directory assistance operator for the Southwestern Bell Telephone Company in Hot Springs, Ark., from 1978 until her retirement 2003. She prepared by studying at Ouachita Baptist University in Arkadelphia, Ark., between 1971 and 1972. Ms. Nunn’s talent and dedication to her industries did not go unnoticed. She was inducted into the Hall of Fame Museum and the International Poetry Hall of Fame in 1997, and was featured in numerous editions of Who’s Who in America, Who’s Who in the World, and Who’s Who of American Women.